ELBA’s outstanding collection of traditional and decorative chimney hoods feature class-leading performance, technology and designs to help eliminate unwanted smoke and odor in your kitchen. Introduced by ELBA to the Philippine market in the early 90’s, ELBA is again at the forefront of technological advancements by offering the strongest suction power of 1000 m﻿3﻿/hand is the first to offer energy efficient LED lights with intuitive digital displays and touch sensitive controls. 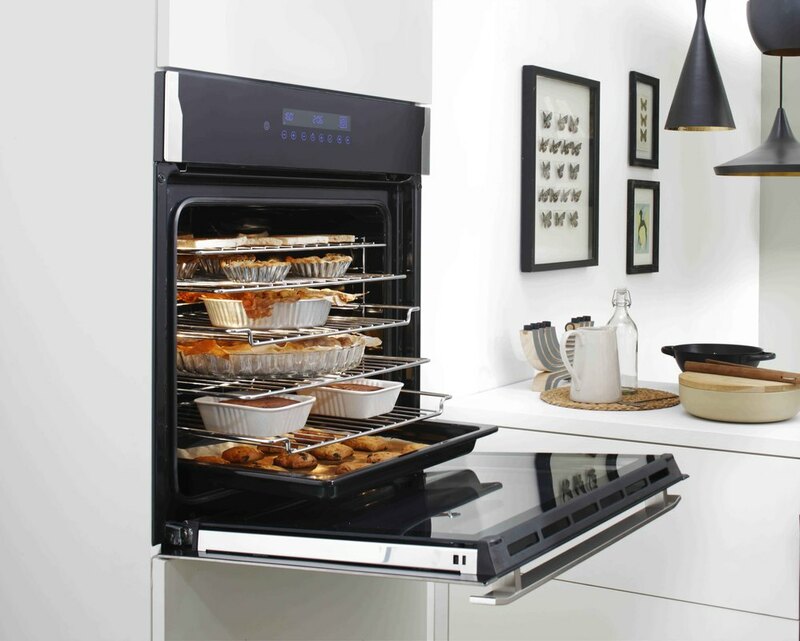 ELBA’s lineup of range hoods enables you to minimize unwanted pollution at home such as smoke, odor, and grease. Designed specifically to vent out these unwanted pollutants in different types of kitchen, these hoods can be hung against a wall, mounted seamlessly in the cabinets, or mounted from the ceiling. Before buying a hood, it is important to determine the type of hood you need, given your space and what is available in your kitchen. First and foremost, identify if there is a provision for a duct out of your kitchen to vent out the unwanted elements. Regular ducts feature a 120mm or 4-inch diameter. Any small diameter than what is required will undermine the performance of the hood and will most likely void the warranty of your appliance. If no ducting pipe is available, you can either arrange this to be installed by your contractor or simply opt for the recycling installation type. You would, however, be limited to the traditional hoods if you opt not to install a duct pipe. After this has been settled, identify whether your wall cabinets are directly on top of your cooking area so you can determine the size you will need. Generally speaking, the size of the cabinets restrict the size of the range hood that can be installed, as the hood will be mounted under the cabinets. As such, options for this type of installation include traditional hoods and telescopic hoods. If no cabinets are present directly on top of the cooking area, then you have the freedom of choosing the type of decorative chimney hood that matches your preference and kitchen design. Please take note though that due to the higher suction power of these types of hoods, an over sized 150mm or 6-inch pipe is required to efficiently vent out odors and smoke from your kitchen. Ducting – A 120mm or 4-inch ducting pipe is required to vent out unwanted smoke and odors. The duct is usually connected to the topside of the hood, but can also be installed from the backside, if permitted. Recycling – The supplied charcoal filters are required to be installed to minimize unwanted odors. It is strongly recommended to opt for the double motor option in this type of installation. 2. Telescopic Hoods – Revealing the fascia of the unit while the rest of the body is hidden under the cabinets, these telescopic hoods offer a clean design that seamlessly blends in with your cabinets to create a clean and simple look. Cabinet Mount – Please consult with your kitchen cabinet contractor when choosing this type of hood so they can incorporate the motor housing inside the cabinets and only reveal the fascia of the unit. Wall-Mount – Make sure that the mounting surface is reinforced properly before attempting to install the hood. Furthermore, a 150mm or 6-inch duct pipe is required to properly vent out unwanted smoke and odor. Island-Mount – These are perfect for kitchens with island counters, but make sure to reinforce your ceilings when mounting an island decorative chimney hood and have a 150mm or 6-inch duct pipe ready and aligned before installation.